Held just a few times per year at select locations around the country, the SMTC program builds on Focus Four training and prepares attendees to manage key safety issues on the job site and provides techniques for delivering basic safety training to field personnel. 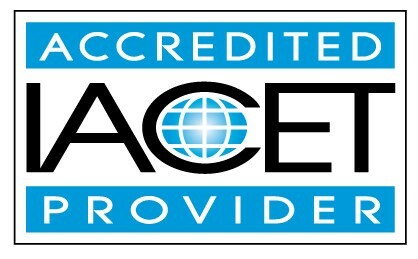 2.3 IACET CEUs | The Associated General Contractors of America (AGC) is accredited by the International Association for Continuing Education and Training (IACET). AGC complies with the ANSI/IACET Standard, which is recognized internationally as a standard of excellence in instructional practices. As a result, AGC is authorized to issue the IACET CEU. 22.75 AIA Learning Units (Health, Safety and Welfare) | The Associated General Contractors of America (AGC) is a Registered Provider with The American Institute of Architects Continuing Education Systems. Credit earned on completion of this program will be reported to CES Records for AIA members. Certificates of completion for non-AIA members are available on request. Cancellation or transfer of registration will be accepted with no penalty until thirty (30) days prior to the start of the course. No refunds will be given after 5:00 p.m. (ET), thirty (30) days prior to the start of the course. All cancellations must be submitted in writing to the AGC of America Convention and Meeting Services Department at meetings@agc.org by the individual whose name appears on the registration (i.e. the course attendee). Cancellations by phone or in writing by any party other than the course attendee will not be accepted. Registrants may only transfer their registration one time. This cancellation policy is subject to change.